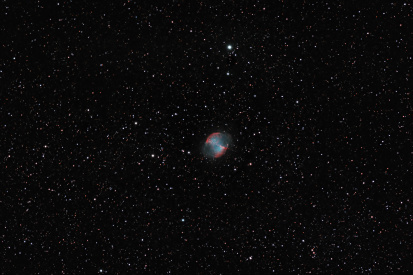 M27 widefield picture taken with WO FLT-110 and Canon 20Da Camera; exposure time: 52*5min subs. The M27 part enhanced by adding SII,Ha,OIII closeup information as LUM. All subs. were taken 19. June and 19/20. July-2010.